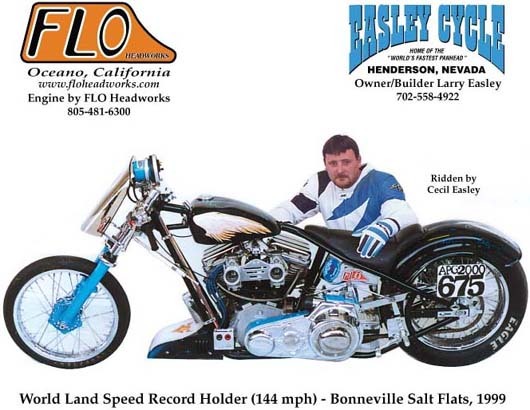 Here's the world's fastest Panhead, engine built by Perry Kime of FLO Headworks. Cams — Designed by "The Master"
impressed with the quality and power of motors as those from FLO Headworks. The Easley/Suit Racing Team has nothing but praise for Perry.